iPads and iPhones give you control over how your kids can use your devices. 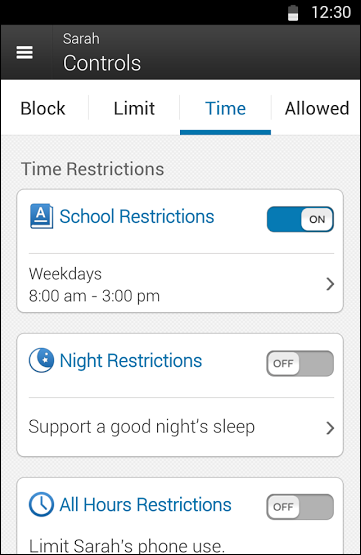 You can quickly lock your device to a certain app before handing it over or lock down an entire device with comprehensive parental controls. There are two iOS features are named Guided Access and Restrictions, which will do most of the heavy lifting here. Guided Access is ideal for temporarily handing your iPad or iPhone to a kid, while Restrictions are ideal for locking down a device your kids use all the time. To start a Guided Access session, open the app you want to lock the device to—for example, whatever educational app or game you want your kid to use. Quickly press the Home button three times and the Guided Access screen will appear. From here, you can further lock down the app. 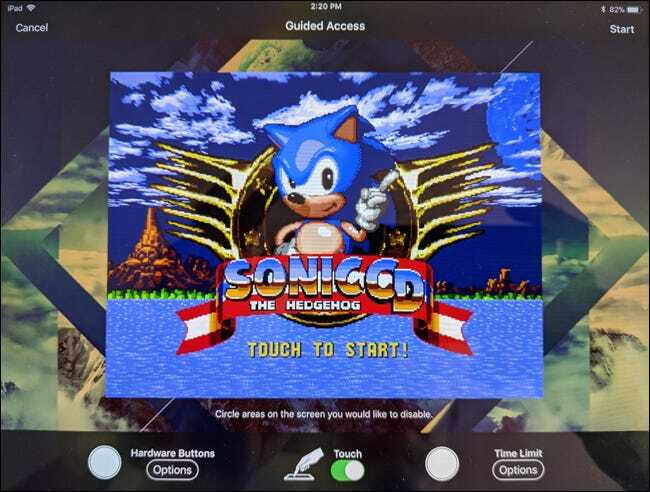 For example, you could disable touch events completely, disable touch in certain areas of the app, disable hardware buttons, or set a time limit. That’s it—whenever you want to enable Guided Access, just open the app you want to lock the device to and “triple-click” the Home button. You can read more about Guided Access here. 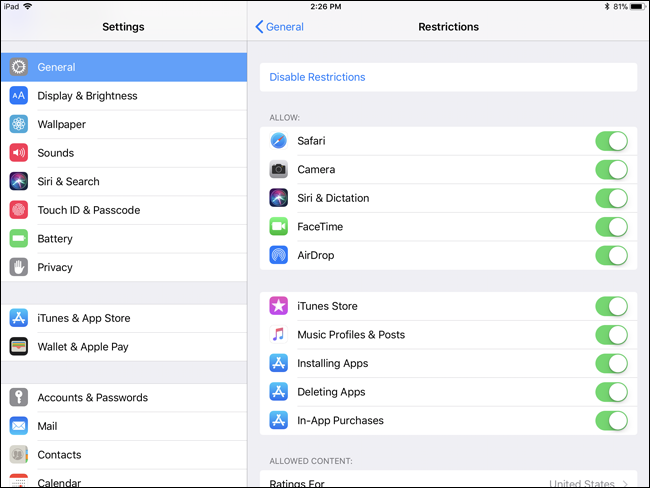 iOS’ “Restrictions” feature allows you to set device-wide restrictions that will always be enforced. For example, you could prevent your kids from ever using certain apps, prevent them from installing new apps, disable in-app purchases, only allow them to install apps with appropriate ratings, prevent access to certain websites, and lock down other settings. Settings you select here can’t be changed without the PIN you provide. From here, you can scroll down through the list and customize the types of apps, content, and settings you want your kids to have access to. For example, to enforce content ratings, scroll down to the Allowed Content section. Tap the Apps section and you can choose which types of apps your kids can install. For example, you could prevent them from installing apps with the “17+” age rating. Tap the Websites option and you’ll be able to block the Safari browser from loading certain types of websites. You can limit access to certain types of adult content or choose to only allow access to specific websites. You can customize which exact websites are and are not allowed, too. If you wanted to block access to the web entirely, you could disable access to the Safari browser and disable the Installing Apps feature, which would prevent your kids from using the installed Safari browser or installing any other browsers. Other settings allow you to lock certain privacy and system settings, preventing them from being changed. For example, you could prevent your kids from changing the Mail and Calendar accounts on the device. Near the bottom, you’ll also find options for Game Center — you can prevent your kids from playing multiplayer games or adding friends in Apple’s Game Center app. Under “Cellular Data Usage” you can disable cellular access for all functions (the basic phone and text message applications should still work). Tap “Don’t allow changes” If you don’t want your kid to have access to this menu. The settings you choose will always be enforced until you enter the Restrictions screen in the settings, tap the Disable Restrictions option, and provide the PIN you created. If you have a limited data plan, but want your kids to be able to use some data, your carrier may provide options for that. AT&T has a feature called Smart Limits you can enable for $5 a month and limit things by time of day. Verizon has their FamilyBase service for $5 a month, which will alert you when your child has used a certain amount of data. T-Mobile allows you to restrict data access at certain times of day for free from the Family Allowances page, as does Sprint from its Limits and Permissions page. iOS still doesn’t provide multiple user accounts, but these features go a long way to letting you control what your kids can do on an iPad, whether the iPad is primarily yours or primarily theirs. Guided Access and Restrictions will work on an iPod Touch, too. If you purchased an iPod Touch for your kid, you can lock it down in the same way.